No one driver is immune to distracted driving. Truck driver Gary Hartley know this first-hand. Since his career started, Hartley said his record shows him as being accident-free. What falls under the category of distracted driving for professional drivers is specifically defined by the Federal Motor Carrier Safety Administration, said Jamie Maus, vice president of safety and compliance at Werner Enterprises. It says anything that is considered more than a push of one button is considered distracted driving or without a hands-free device, she said. The company is making sure its drivers comply with federal regulations and its policy - a very costly pursuit. 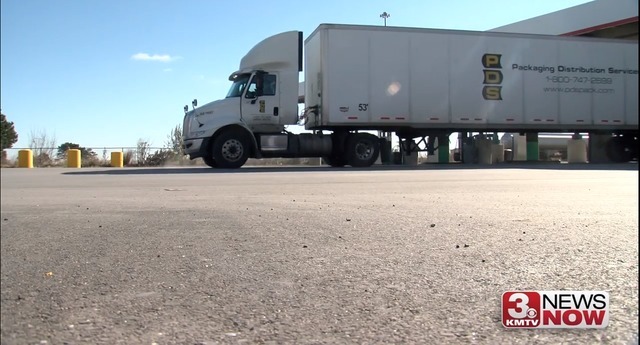 "So within the trucking industry, we spend about $9.5 billion annually on safety," Maus said. The trucking company explains the price tag includes constant training and paid safety incentives. Otherwise, if authorities catch truck drivers using their phones, they can face a fine and/or a license suspension. If Werner Enterprises discovers a driver is using his or her phone, no first warning will be issued. That's a terminable offense, she said, and many companies out there have that same logic.